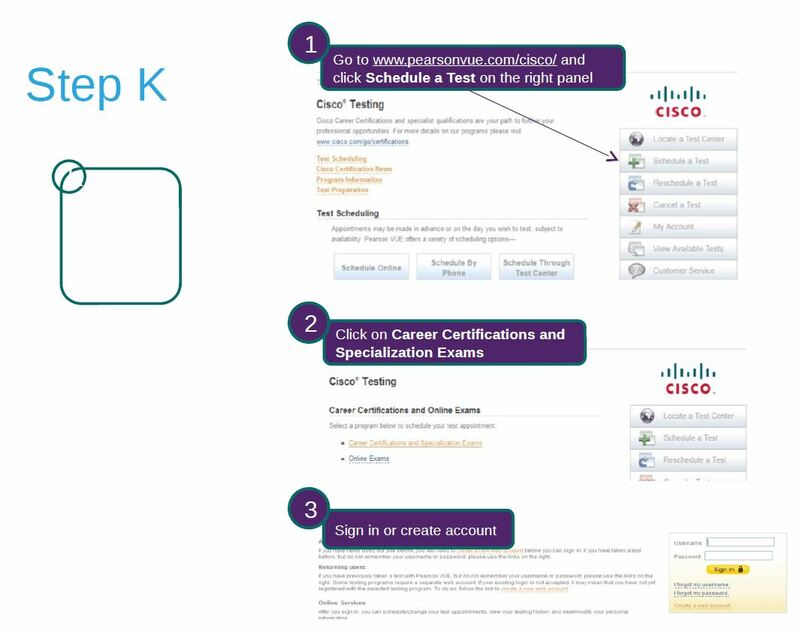 Hi, today in this post we’ll learn how to take cisco certification exam discount vouchers. Need to ensure the eligibility and your provided data is accurate. Verify your provided dta and process the discount request. Finally, register for exam and get the discount. Also have a quick look at the criteria needed to fullfill. 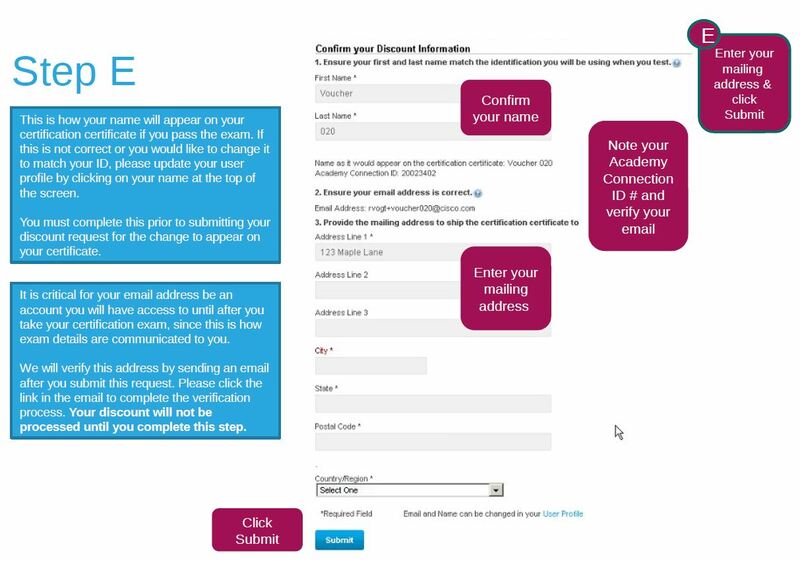 Please keep up to date with your profile in netacad account. You should check your mail address regularly. 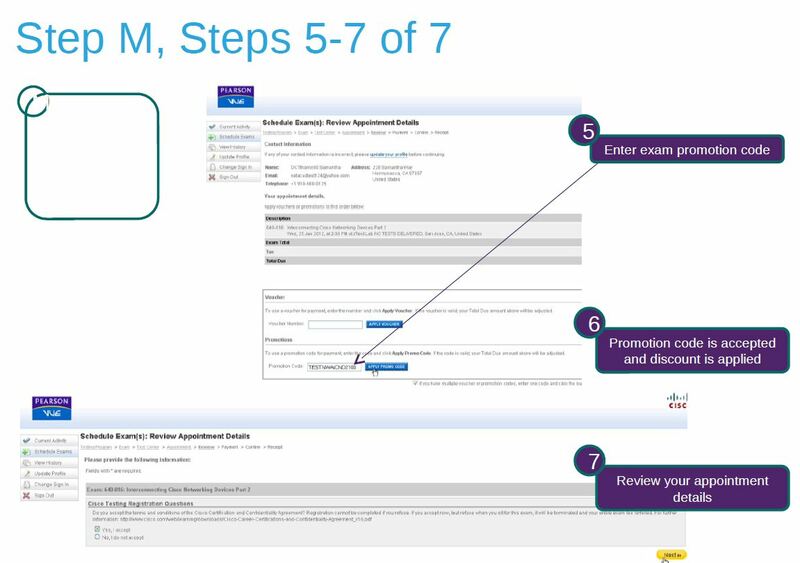 Sometimes it may takes up to 8 days to get the notice of email validation. 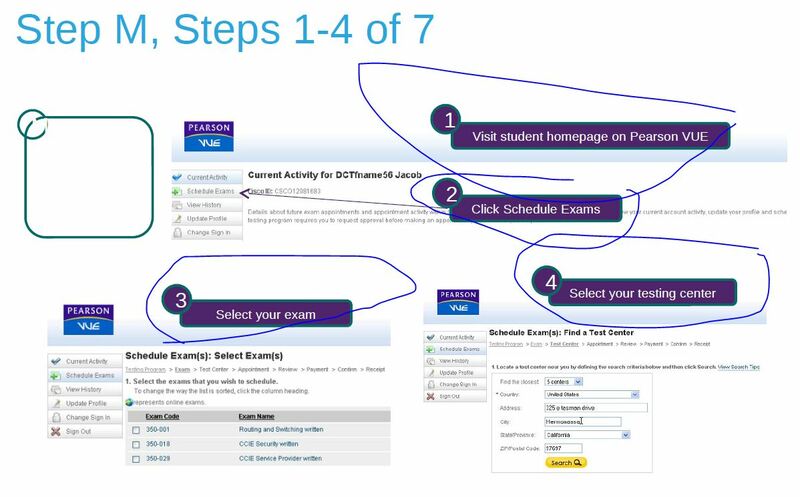 If you score 75% on your first attempt, please tell your instructor to grade your pass status to grade book. You may get the voucher link after 48 hours of graded. 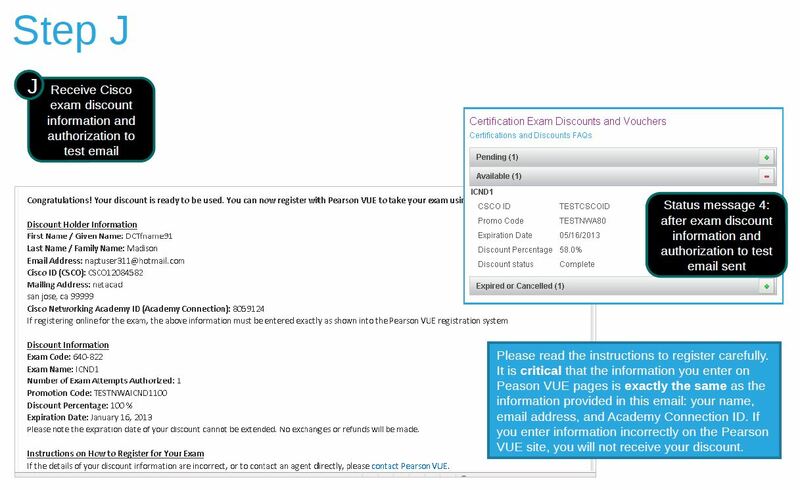 You shouldn’t register with Pearson VUE until you have received your discount voucher, it may takes up to 3 days after you varify your email address. 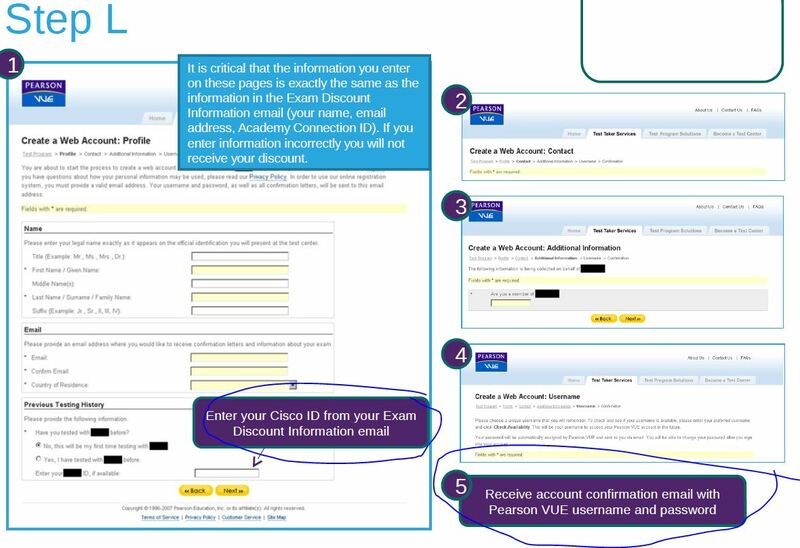 During the registration on the Pearson VUE, you should enter your account details exactly as cisco account. There are also some voucher policies. You may read the voucher policy from the cisco official document, which I’m going to share with you lastly. 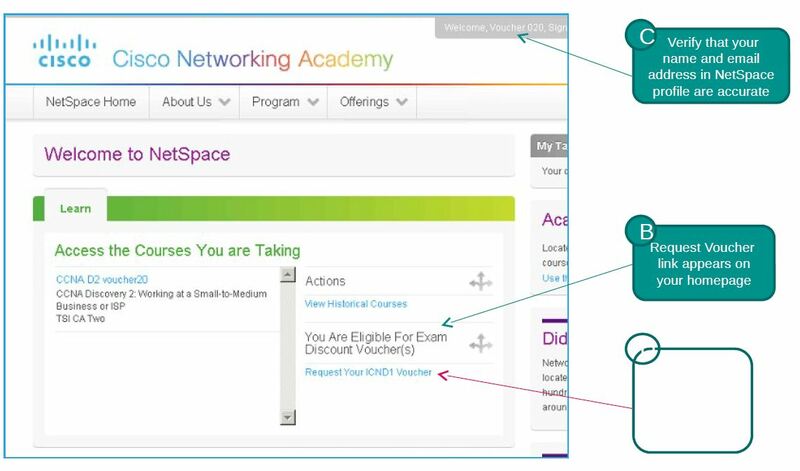 Receive email notification of discount voucher from the Networking Academy Admin. 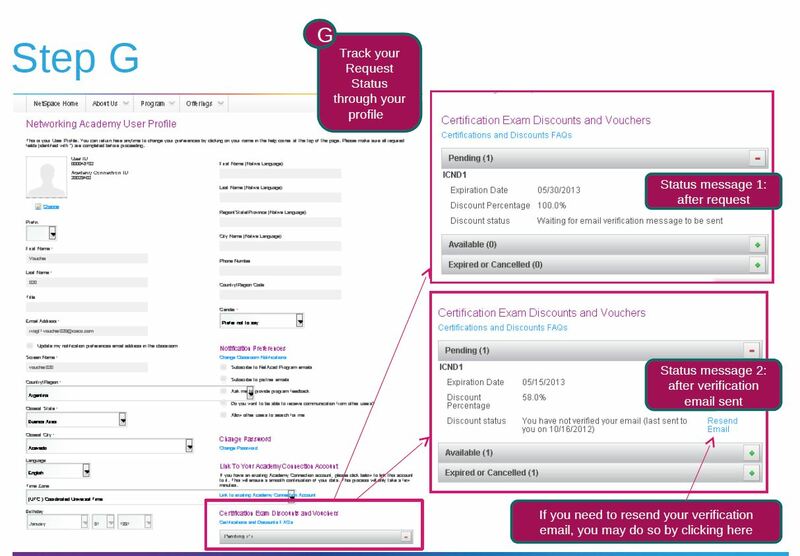 In this section you may need to input you information details like your name, voucher details, netacad connection ID etc. Here the email address is important, because, through this email account cisco will communicate and verify your provided data. In this steps you need to track your request status through your profile. Now you may need to wait 24 hours to receive your information verification email. Please note that, if you don’t receive your verification email in the period of 8 days, you may go for re-verification steps. 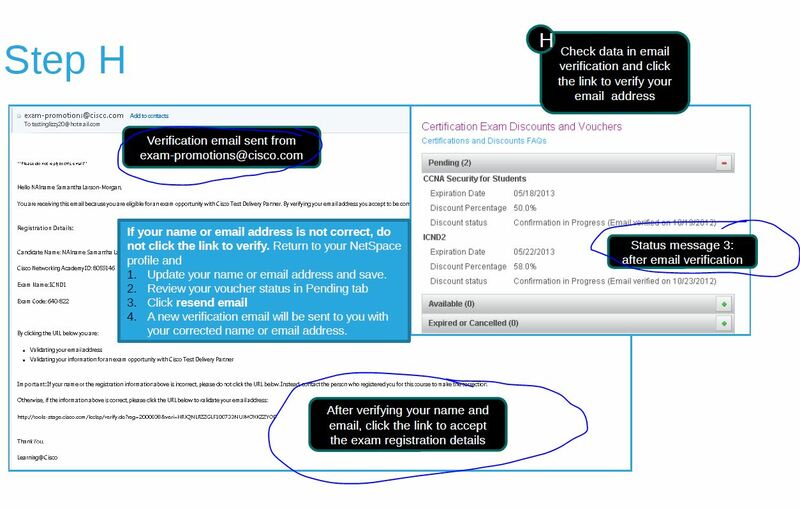 You may receive a email for the verification and need to click the link to verify the email address. 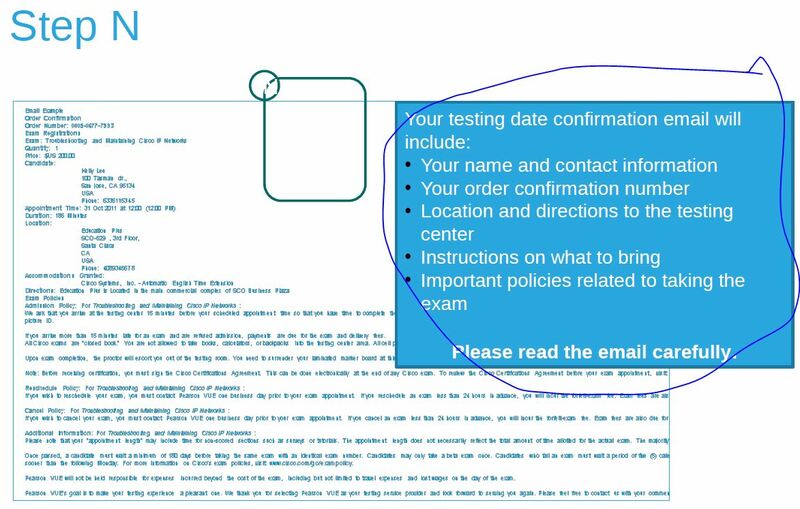 Receive mail about exam discount information and authorization of the test mail. 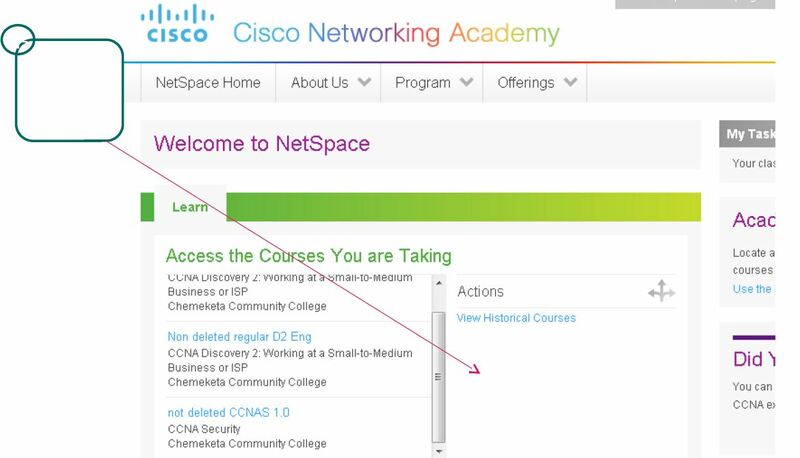 Need to go to the pearsonvue.com/cisco and need to schedule a test on the right panel. Need to insert correct information. Promotion code is accepted and discount is applied. You will get a email, please read the email carefully. So finally you have completed all the steps. The information I’ve provided here, taken from a official document provided by cisco. If you want you can collect this document from here.